With Windows 10 Pro — for a smooth, versatile PC experience. No outlet, no worries: The laptop’s exceptional battery life gives you more power to keep going without having to worry about your next recharge. Interact with the touch of a finger: Whether you’re browsing through photos, editing spreadsheets or replying to social media posts, the standard 29.5cm (11.6") edge-to-edge touch screen makes every task easy. Communicate with clarity: Make sure your voice is heard in video chats or phone calls, no matter where you take the conversation. Noise-canceling dual digital array microphones make web chats crystal-clear, even in noisy environments. Fast and smooth performance: From web surfing to video streaming, your tasks run smoothly with a 4th Gen Intel® processor. Fun and easy to use: Windows 8 makes using your touch screen fun with simple ways to scroll, zoom and tap through pictures, music and more. Convenient connections: A built-in media card reader quickly imports files from your camera, while USB 3.0 and Ethernet let you move data quickly to other devices. Watch movies on a high-definition TV with the HDMI port. Starting at around 21.2mm (1") thin and just 1.4 kg (3 lb), this laptop is so light and slim, you’ll check twice to make sure it’s in your bag. A strong composite frame, sturdy keyboard and large palmrest make your laptop both comfortable and durable. 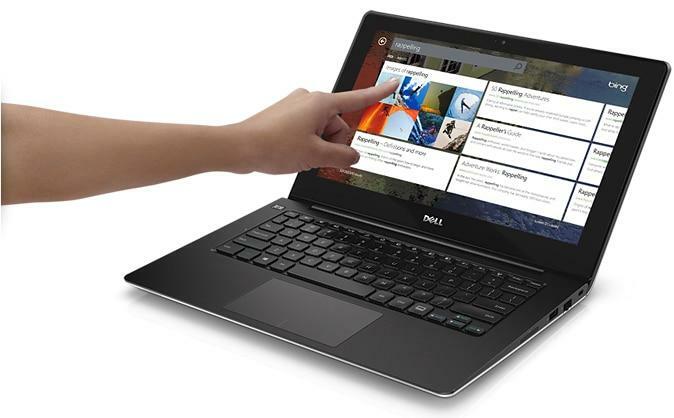 Accurately point, zoom and scroll using a large and comfortable touchpad. We want you to love your new PC for years to come. That's why we test every Inspiron laptop for reliability not just in the places where you expect it, but for the open road ahead. Keys to success: We test commonly used keys for 5 million keystrokes and touch pad buttons 1 million times with no failure. So go ahead, finish your novel. 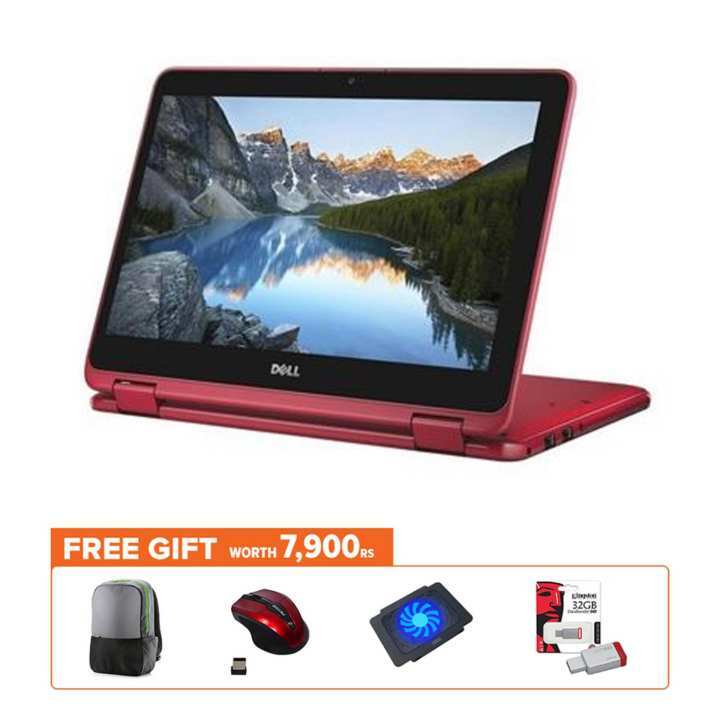 Twist and turn: Call us excessive, but after twisting every Inspiron laptop's base and lid more than 25,000 times, we can assure you the parts inside are well protected. 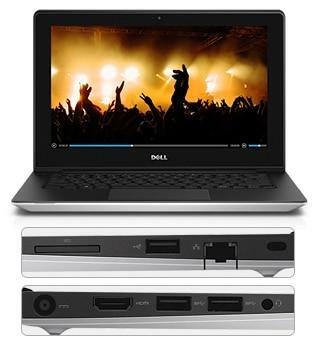 My Dell is an easy-to-use support tool that consolidates the information you need about your PC. Proactive: Advice and alerts to let you know about issues before they happen, and tools to fix issues if they arise. Simple: Easy access to Dell support, warranty information and services to help you save time and reduce hassle. 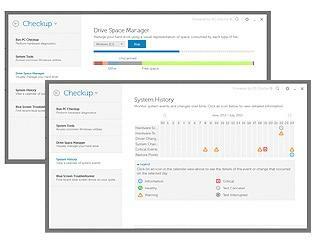 Trustworthy: Dell Back-up and Recovery provides flexible, automated backup and recovery to ensure your precious pictures, music and files remain safe. This facility is accessible through the My Dell interface. Be prepared for wherever your day takes you with a comfortable, lightweight and stylish bag that fits laptops with up to 15.6" displays. Get outstanding clarity and usability with a Full HD 21.5" display featuring 10-point multi-touch capability. Offering high-speed data transfer and easy compatibility, this docking station provides easy connection to external displays and devices. Keep your desk clutter-free with this wireless combo. Low-profile keys and optical tracking let you work in comfort without a cord in sight.